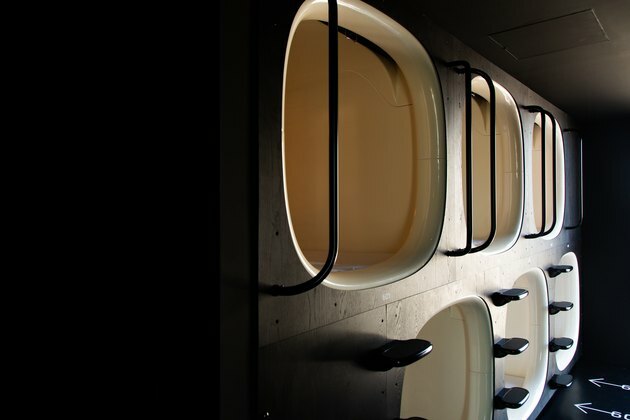 Capsule hotels have been a staple of Japan since the first one opened in Osaka in the late 1970s. The accommodations, which feature sleeping pods, were once marketed to businessmen who needed a place to crash between nights out on the town and work the next day. 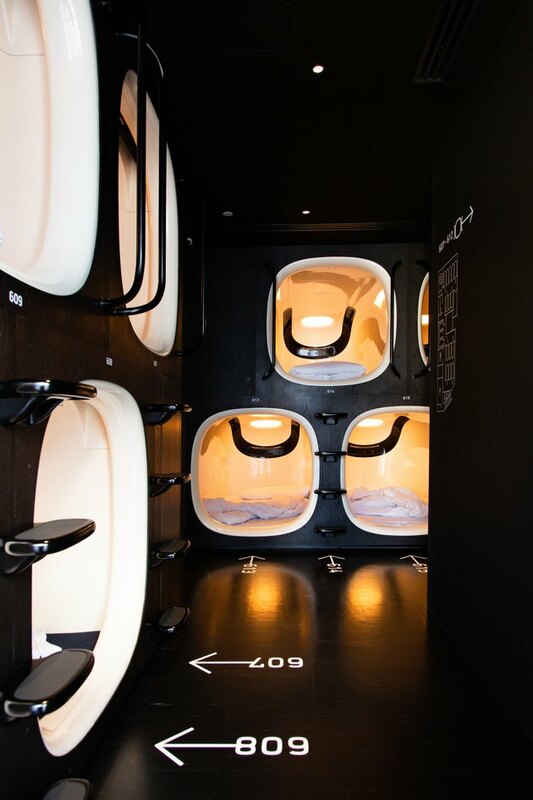 But these days, capsule hotels attract a wide range of guests and feature stylish designs that can hold their own alongside traditional hotels. 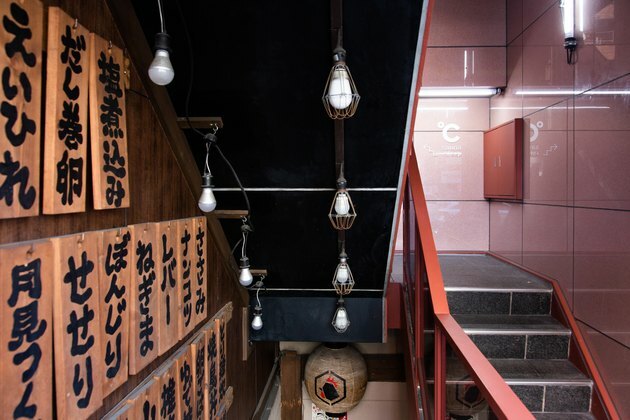 One of the newest locations is in Asakusa, an area of downtown Tokyo home to the Sensō-ji temple. The hotel is spread over several floors and 183 pods are available. Visitors can check in 24 hours a day, 365 days per year. 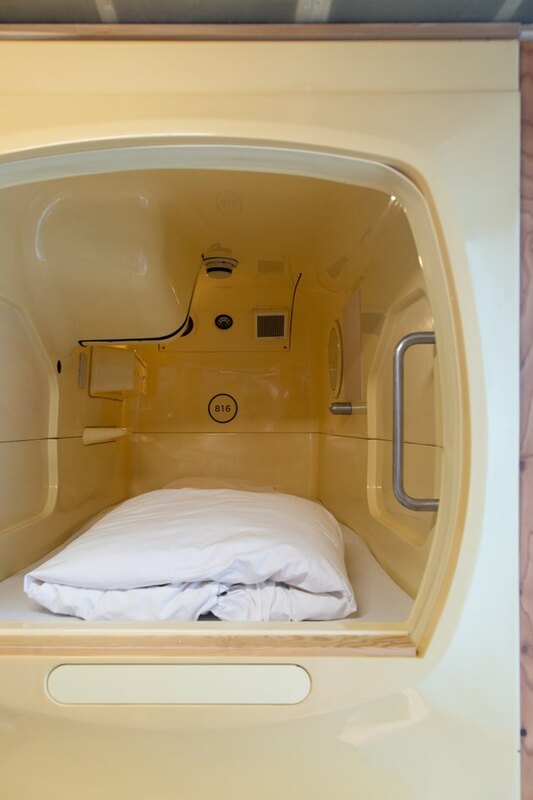 Capsule hotels are perfect for travelers who are more focused on seeing the city, rather than the inside of their hotel room. Unlike traditional hotels, guests must check out daily. The hotel is also convenient for layovers. Between 1 p.m. and 9 p.m., you can check in and take a quick nap and shower for around $9 for the first hour and $4.50 for each additional hour. Should you need to just freshen up, use of only the shower is available 24 hours a day for around $6. Upon checking in, guests are provided with towels, a toothbrush, and loungewear to change into. 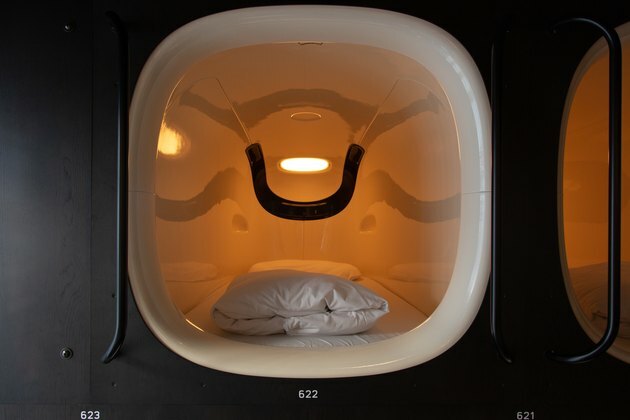 The company modernized the traditional sleeping pod, giving it a sleeker, futuristic design. The capsules measure 3.6 feet wide by 3.6 feet tall by 7.2 feet deep. There are separate sleeping quarters for male and female guests. The showers are equipped with soap, shampoo, and conditioner and hair dryers are available in each locker room. 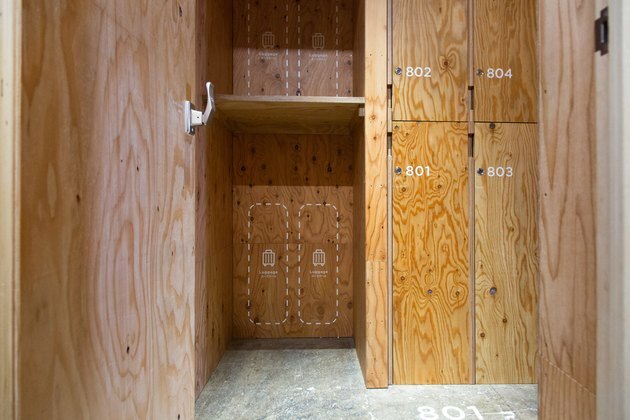 Suitcases and personal belongings are stored in secure lockers, located near the shower rooms. 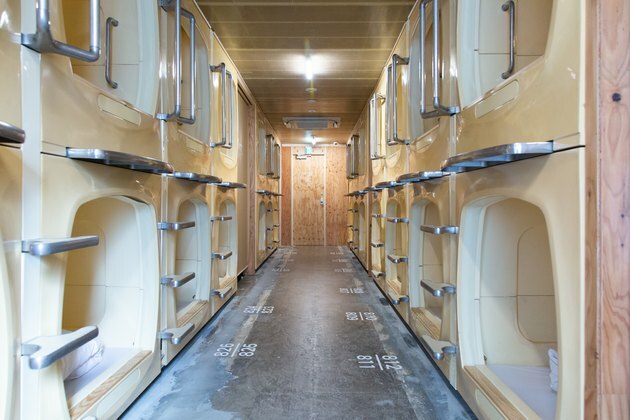 In 2017, the company introduced ℃ Sauna + Sleep, a new concept combining a capsule hotel and a Finnish sauna experience. The first location is in the Ebisu area of Tokyo, which is known for its restaurants, bars, and beer museum. 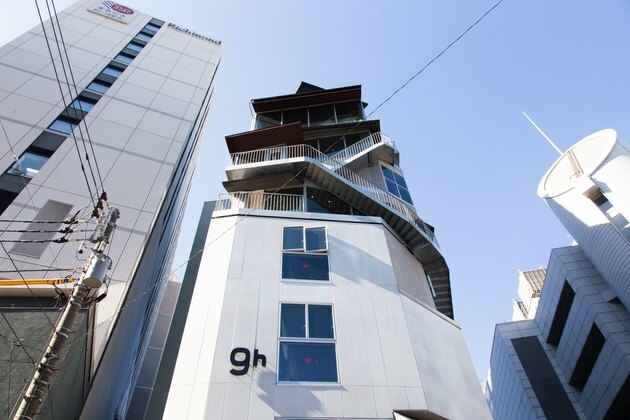 While the Nine Hours hotels are built from scratch, for ℃ Sauna + Sleep, the company renovated an existing eight-story capsule hotel. 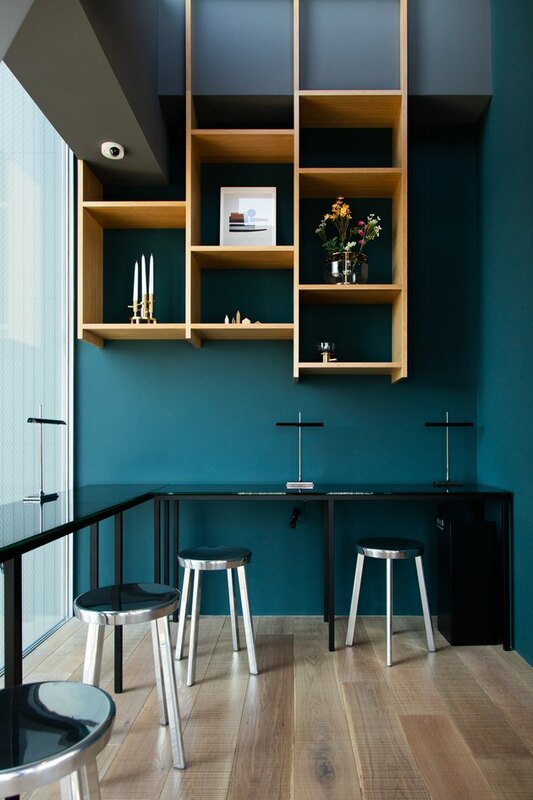 Schemata Architects was brought onboard to refresh the space. 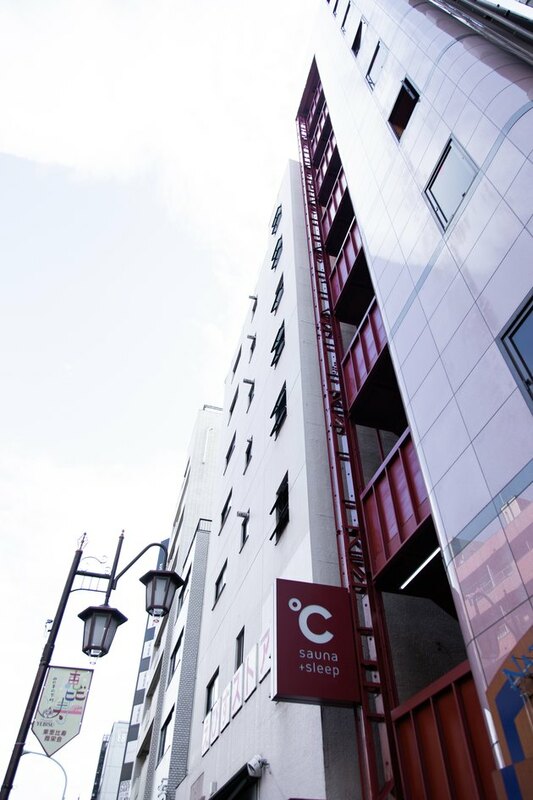 Architect Jo Nagasaka gave the exterior a bold look with new red anticorrosive paint, which was repeated on the stairs and became a signature color in the design. Nagasaka also used beige as the base color throughout to make the existing capsules blend in with the interior. 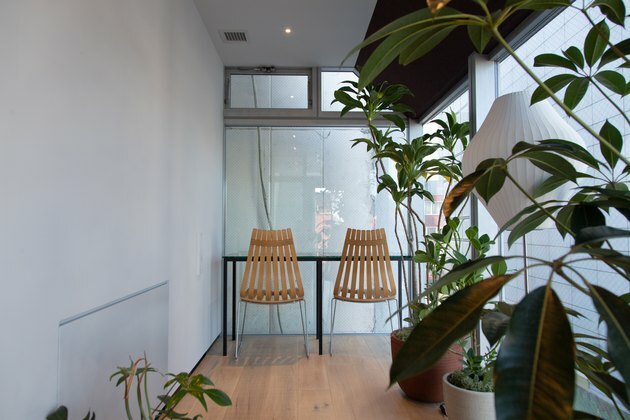 A minimalist wood-lined lounge offers guests space to work or gather. The use of wood throughout gives a nod to Scandinavian design and the sauna itself. The sauna is available 24 hours a day, and guests go through a circuit that includes a hot sauna with löyly, the steam created by pouring water on hot stones, followed by a shower and rest. The procedure is repeated several times. The sauna is based on traditional Finnish methods, but the hotel has added Japanese twists. The existing hotel did not have a sauna, so the facilities were custom built. Warm wood lines the interior of the sauna. 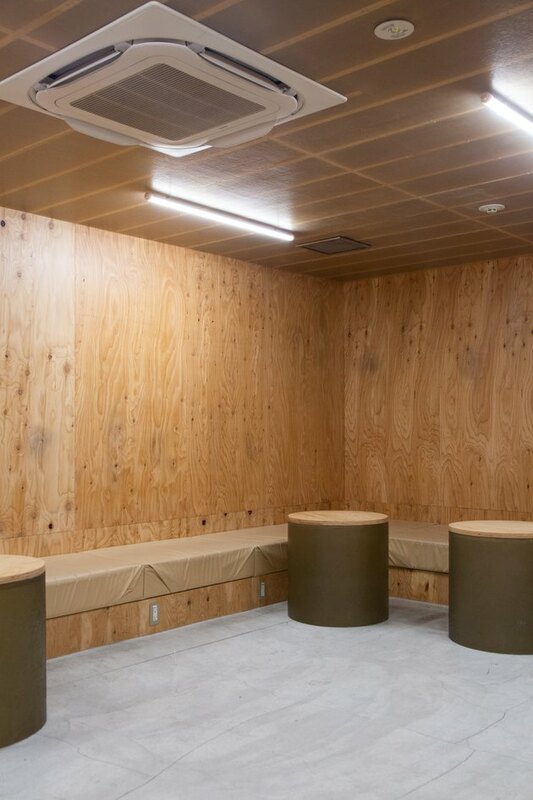 The shower room is separated from the sauna by walls finished with clear fiber-reinforced plastic. 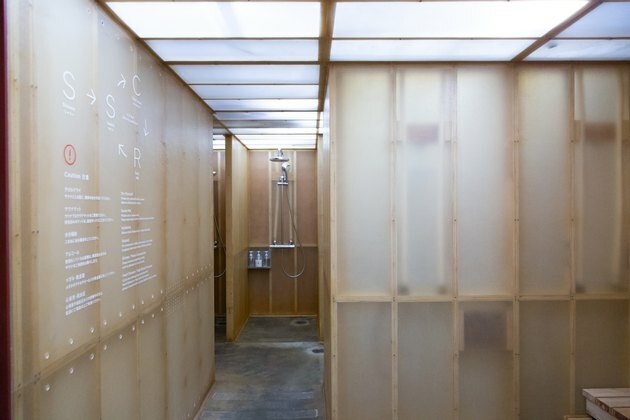 Minimalist signage, such as sauna and shower directions, is printed on the walls of the interior. 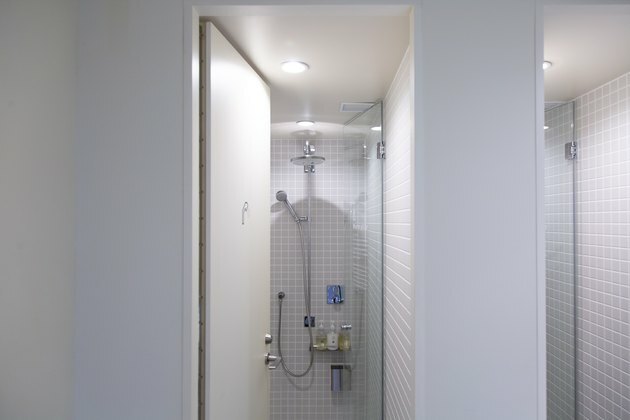 The Toto showers are designed to cool visitors down after their time in the sauna. Guests can choose their ideal water temperature, ranging from 15℃ to room temperature. Wooden lockers and shelving store suitcases and belongings. 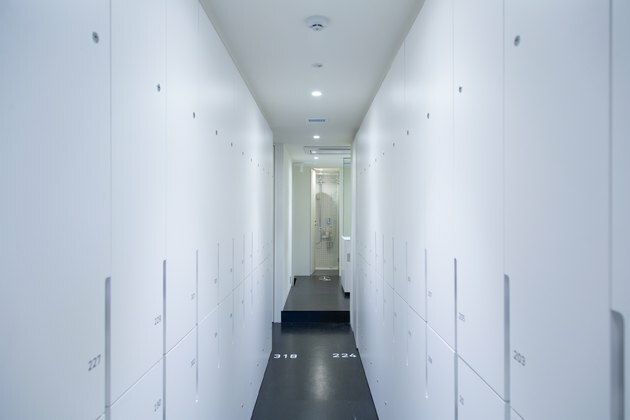 There are separate locker and sleeping facilities for men and women and each locker is stocked with ℃ loungewear and towels. Guests can book an overnight stay or pop in for a trip to the sauna and nap. 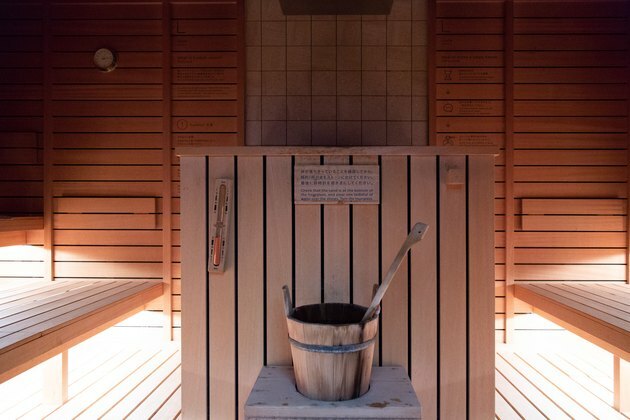 Time in the sauna can also be booked without a capsule. The capsules have a retro feel and are outfitted with the essentials for a good night's sleep. A shade can be drawn for privacy or to block out light from neighboring capsules.